AMERICAN SINGLES GOLF ASSOCIATION, 1-888-465-3528. 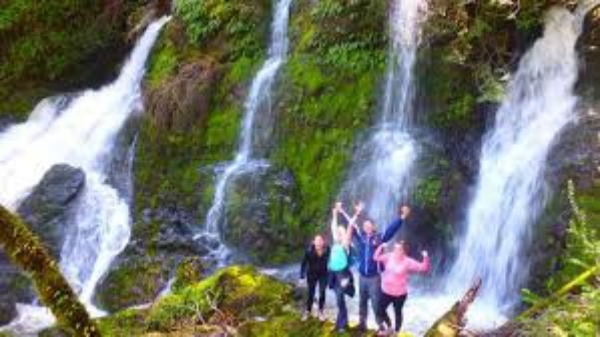 BAY AREA JEWISH SINGLES HIKING CLUB organizes hikes all over the Bay Area. Inn at Muir Beach in Marin County. $10. Mainly singles. John Benus, Director. DIVING SINGLES, Scuba diving. sharon.bagby@lmco.com. RUSTY RACKETS SINGLES TENNIS, Thursdays, 6:30-9:30pmLas Lomas High, East Bay, 510/223-5777. Bay Area Chapter, 650/697-6304, sponsors activities all over the Bay Area, including hiking, biking, etc. Solo Sierrans, 510/530-6402, sponsor hiking and biking all over the Bay Area. Alameda, free. If you do not own your own boat, you can be part of the crew! SINGLES BIKE TOURS, North Bay, Aceit Bike Tours, 707/688-4063, frieda@aceitbiketours.com. SINGLES CYCLING CLUB, uintazzz@hotmail.com, 415-847-3605. SINGLES MOTORCYCLE CLUB organizes motorcycle rides all over the Bay Area, California, and Nevada. Women may either own their own motorcycle or ride on the back with male members. SWINGNSINGLES , Box 750127, Petaluma CA 94975, 707/765-1034. Social club for singles who enjoy playing golf. ski trips, including volleyball, house parties, etc. APRES SKI & ACTIVITIES CLUB, South Bay. Click on Newsletter Online. BOTABAGGERS, 925/244-5651. Social & Planning Meeting, Tuesdays, 7:30pm, Celia’s 411 Hartz Ave., Danville. INSKIERS, 800/987-SKIS. Tuesdays, 7pm, Mariners Point Bar & Grill Clubhouse, Foster City. POWDER HOUNDS, 4th Tuesdays, Hilton in Emeryville., 510/769-SNOW. Thursdays, 6:30pm, Bancroft & Treat, Pleasanton, 925/945-0205. Restaurant, Pier 2, on the Embarcadero at Mission St., SF, Free. 415/337-9333. SNOWDRIFTERS, P.O. Box 396, Mountain View, Ca. 94042, membership@snowdrifters.org.